Two years after leaving Oakland, Maceo Redfield returns to the city, where NBA All-Star Cornelius “Cotton” Knox has become tangled up in the murder of a local call girl. What could easily become a story for the tabloids turns personal when Maceo realizes that his estranged friend Holly Ford has also been linked to the crime. Maceo’s guilt at disappearing, coupled with a heartfelt plea for help from his Aunt Cissy, becomes a potent combination for a man seeking redemption. Taking it upon himself to clear his friend, Maceo stays one step ahead of the police as he traverses the dark corners of the San Francisco Bay Area. And in his quest for the truth, Maceo teams with a sultry con artist named Sonny Boston, “an eight-cylinder chick with bodies in her past.” While navigating the shifting alliances of a territory war, Maceo must also fight off an unseen enemy, a ruthless man with connections to Oakland, who came to town with two things in mind: destroying Holly and eliminating anybody who gets in his way. 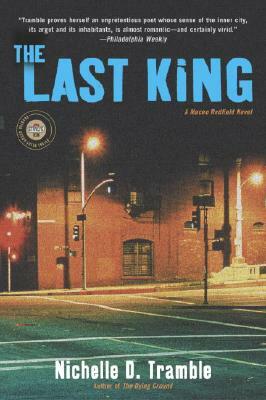 Tell us what do you think about The Last King: A Maceo Redfield Novel (Strivers Row).